It’s the Fourth of July and, while Captain Jean-Luc Picard may ask everyone how they will spend their Bastille Day, for those in the United States it’s a time to celebrate American Independence. Now what does the American holiday of fireworks, hot dogs, and John Philip Sousa music have to do with Star Trek? It’s not like there was ever a July 4th episode. …oh, but there was. Unfortunately. The Enterprise discovers the USS Exeter in orbit around Omega IV. The crew is revealed to have died except for the captain, who remains on the planet. Kirk, Spock, McCoy, and Unlucky Red Shirt #12 beam down to the planet and find Prime Directive-violating Captain Ronald Tracey. He has made friends with the “Kohms,” an “Asiatic” group in conflict with the savage Aryan “Yangs.” Tracey believe he has found a “Fountain of Youth” with the planet’s population, but it turns out it’s just evolution/natural selection following a devastating war with biological weapons. It turns out that his crew would have lived if they had stayed on the planet a bit longer. 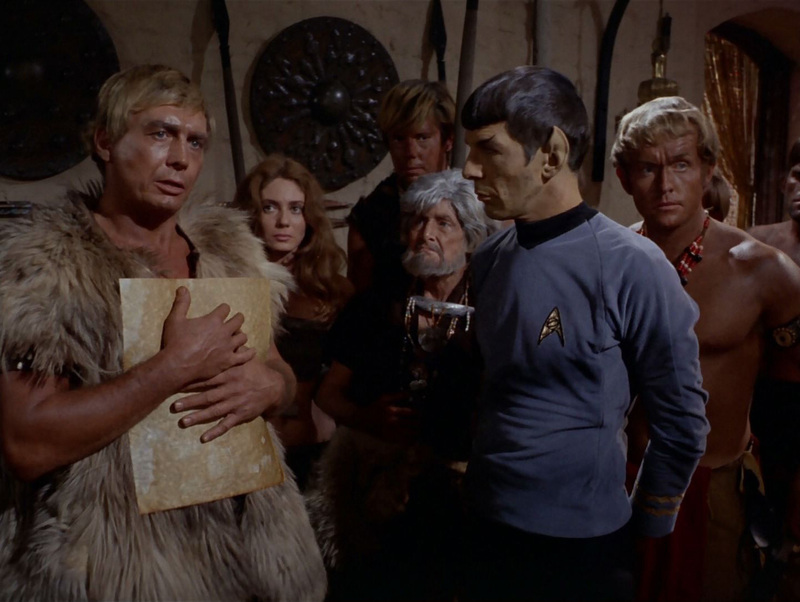 Kirk and Co. eventually discover that the Yangs and Kohms are parallels to the “Yankees” and “Communists” of the 20th Century Earth. The Yangs, after a decisive victory over the Kohms, celebrate by bringing out a tattered U.S. flag, pulling out a Bible, and reciting the Pledge of Allegiance to the American flag. 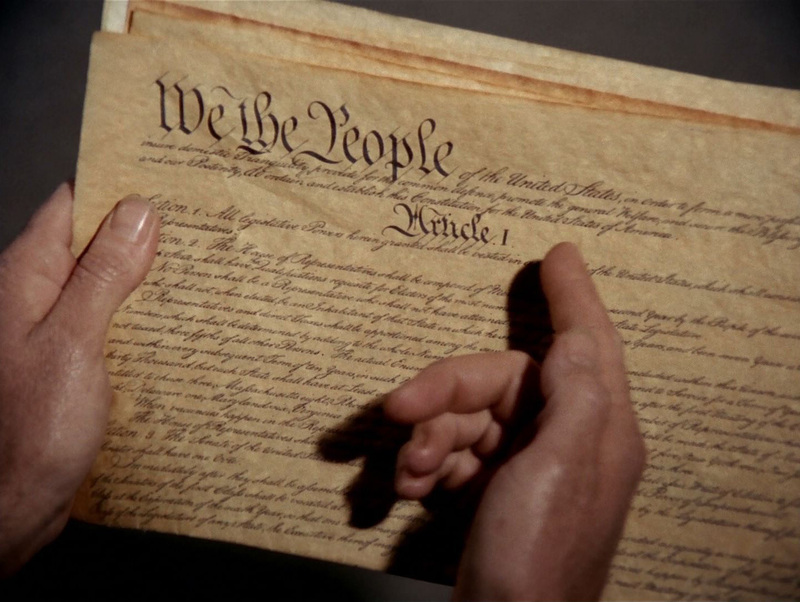 After a few random fights scenes between Kirk and Tracey, Kirk soon triumphs, Tracey is arrested, and the Yang chief pulls out a copy of the U.S. Constitution. Jim next gives a classic Kirkian speech about the power of words, the Constitution, and the good ol’ US of A in general, and the Starfleet crew leave those freedom-loving Yangs to begin living out the words of that foundational American document. 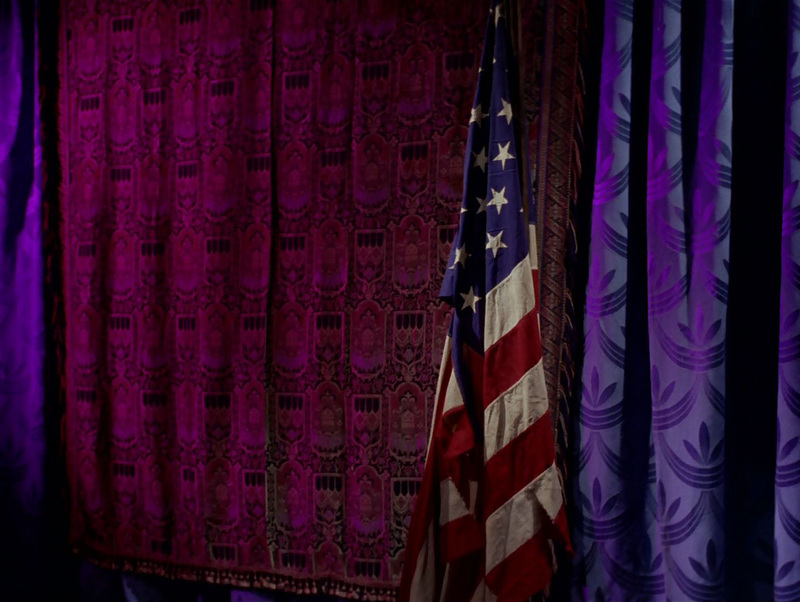 The camera slow pans to the Star Spangled Banner hanging in the corner and credits roll. To say that this is a problematic episode is understatement at its best. Is it the explicit racism? The cultural appropriation of American Indigenous People? Is it literally cloaking this episode in the flag and Bible? All that and much more. Corny, yes. Overblown, yes. Oversimplified, yes. But the notion that the ideals of liberty and inclusiveness are not just for “leaders” but are for the whole group and not just one group, but for all, does bring a slight red, white, and blue tear to my eye. However, I echo Captain Kirk – these can’t just be words. I realize history nerds such as myself know that the Fourth of July is not about the U.S. Constitution, but is in fact celebrating the American Declaration of Independence. That’s true, despite my Hamiltonian dislike of Thomas Jefferson. The promises of the Declaration are what the “oohs” and “aahs” of the fireworks are supposed to inspire. But the American words of the Declaration of Independence and the U.S. Constitution have to mean something beyond the 18th Century parchment they were written on. The worship words “We the People,” “equality,” and “liberty” are ephemeral to those in the United States and beyond who have never felt their meaning. Justice Marshall’s is just one voice which tells us to make sure that the words, meanings, and ideals are not just kept in a musty box or only kept for one people.